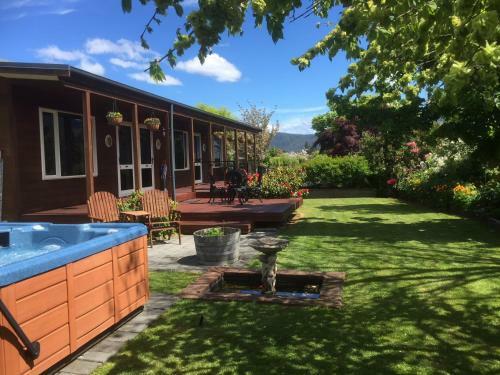 Free Wi-Fi, a hot tub and a sunny terrace are on offer at Blue Ridge B&B, which is just 5 minutes’ walk from the centre of Te Anau. 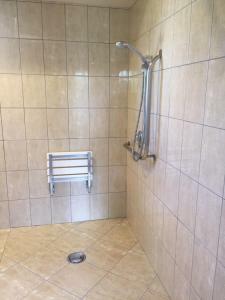 It offers heated studios with free breakfast and a kitchenette. Free parking is available on site. 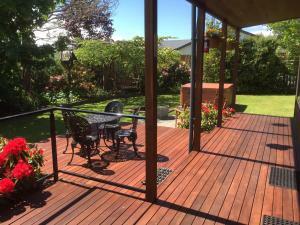 Blue Ridge Bed & Breakfast is 5 minutes’ drive from Te Anau Domain, and 10 minutes’ drive from the Te Anau Golf Course. Lake Manapouri is a 20-minute drive, and Queenstown Airport is a 2-hour drive away. All studios have luxurious feather duvets and mattress toppers. Each studio has a seating area with a TV and a DVD player. The bathroom has a bathrobe, a hairdryer and free organic toiletries. The tour desk can book scenic flights, cruises around Milford Sound and trips to the Glow Worm Caves. The property also offers free laundry service and a selection of books and DVDs to borrow. The dining room offers stunning views of the Murchison Mountains and the garden. Breakfast options include homemade muffins, croissants, seasonal fresh fruit, yoghurt, cereals and breads. This open-plan studio has a microwave, refrigerator and tea and coffee maker. It also has a seating area with a TV and a DVD player. The bathroom has fluffy bathrobes, a hairdryer and organic lavender toiletries. This room has no capacity for additional guests. You may cancel free of charge until 14 days before arrival. You will be charged 50% of the total price if you cancel in the 14 days before arrival. If you don’t show up you will be charged the total price. This open-plan studio has a microwave, refrigerator and tea and coffee maker. It also has a seating area with a flat-screen TV and a DVD player. The bathroom has fluffy bathrobes, a hairdryer and organic lavender toiletries. This room has no capacity for additional guests.